reconnecting Old Boys back with their Kura and each other ! In the past decade, there have been many requests from old boys wanting to attend Reunions back at the Kura. According to research about Boarding School Reunion Events, they are far more attractive to Alumni if reunions are well organised and celebrated among their associates (year groups). After much deliberation and discussion since 2008 among the Hato Pāora College Old Boy’s Association (HPC-OBA), we are happy to confirm the HPC-OBA will trial this new initiative. To help kick start this process, we will amalgamate in 7 year groups annually celebrating Decade Anniversary’s starting with Classes of (’48 ’58 ’68 ’78 ’88 ’98 ’08). We will begin rolling out this first lot of 7-year groups next year School Gala Day (Sat 17th March 2018). Please Note: School Gala Day is Old Boys Day also. We encourage all old boys young and old to attend. However, registration this round is only for Classes of ’48 up-to ’08 because 2018 next year, will be their Anniversary year. Then come following year 2019, it will be the same, anniversaries for Classes of ’49 up-to ’09 and so forth and so forth. A standard reunion registration including programme and cost has already been developed to help the HPC-OBA manage this process effectively. For this kaupapa to be successful, we need old boys who are from Classes of ’48 up-to ‘08 to register within the correct scheduled time frame beginning next month 1st November 2017. All Reunion events below have been scheduled annually to be held every School Gala Day. Registration also includes former School/Hostel Staff and Trust Board/BOT Members if they choose to participate. 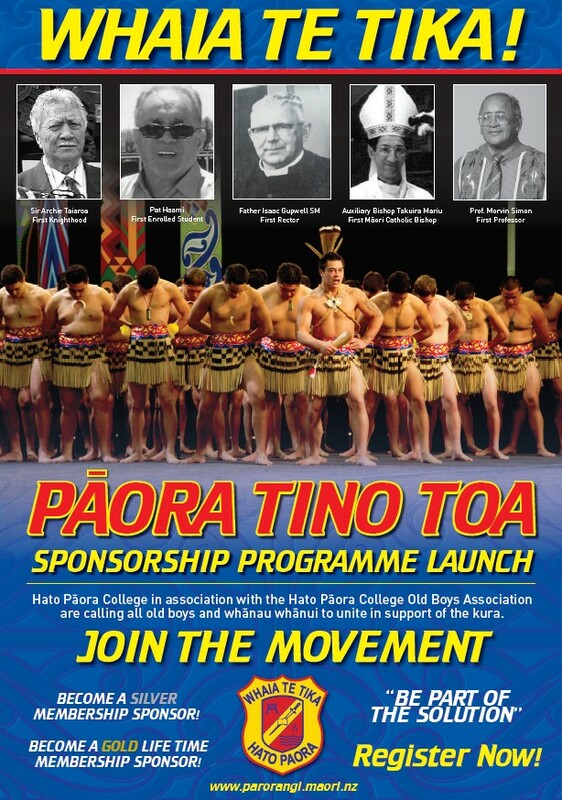 HATO PAORA COLLEGE OLD BOY’S ASSOCIATION. Reconnecting Old Boys back with their Kura and each Other!